Paying for meals for the purposes of discussion or entertainment is often a necessity for business owners. These frequent outings can become a very noticeable area of cost for small businesses. Here are some tips for making proper tax deductions on meals, and for keeping the overall costs to a minimum that will help regardless of whether you dine at an Outback franchise or in your office meeting room. Certain meals can be tax deducted if they meet a number of terms. This is one of the biggest workplace benefits. Specifically, they must be for the purposes of discussing business. Whether it’s wooing a new client or starting a new deal with an existing client, the meal must have a definite business purpose. It’s important to note, however, that in the case of these business meals, only 50% of the cost can be deducted. There are cases where the IRS will deduct 100% of the meal cost. For example, if snacks like donuts or coffee are bought for the benefit of the employees in the office, then these costs can be fully deducted. Overall, knowing how much to deduct will help you make proper lunch deductions. Office lunch no longer has to just be lunch. If you want to save money on business dining, you can also consider hosting a breakfast business meeting. In toady’s business environment, the workday is 24 hours. It is no longer confined to the traditional 9-5 hours. 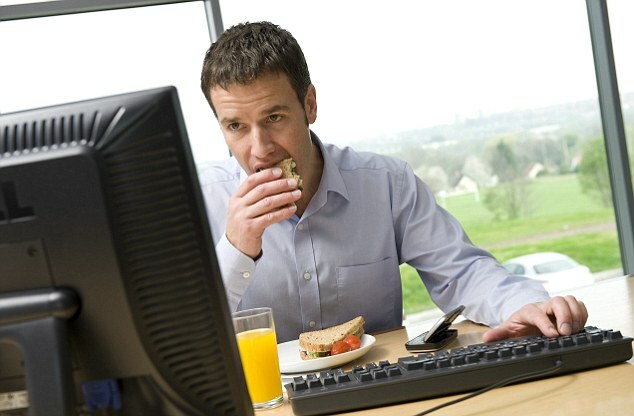 So why should business meetings be confined to working lunch hours? Consider hosting a business breakfast meeting if you want to save some cash. Although meals for the purpose of discussing business with clients and meals bought for employees go into the tax deductible category, office lunches brought from home, however, are not typically tax deductible. When your lunch is brought from home, they are considered to be a personal expense, just as things you pick up from the flower market. The exception to this rule is if one travels away from their tax home on business; in this case, one can deduct 50% off their meal costs. Otherwise, skip making lunch at home if you want to deduct the expenses at the office. Needless to say, the IRS is incredibly frugal when it comes to tax deductibles for any business bank account. When making a claim for a business-related meal, one must provide a complete record of the event in terms of cost, time and place. Keeping receipts of any and every business outing is prudent. It’s recommended that every business practice consistent record-keeping of all its events. Businesses should also keep their expenses to decent levels of necessity. As expected, extravagant spending will likely increase the chances of being audited. In case you are audited, then you will have the proper documentation to show your expenses are legitimate. If you make your lunch, you cannot claim it on your taxes, unfortunately. However, you can still save a whole bunch of money for your virtual bank account without sacrificing taste. If you want to start making your own lunch, or you are just sick of eating the same thing every day, consider making lunch bowls instead of the usual turkey sandwich. Lunch bowls are a tasty, healthy solution to the lunch time doldrums. If you want to save money and eat good lunch meals at the same time, try making a a lunch bowl using one of the many lunch bowl recipes available online. Dealing with taxes and the IRS can be a back-breaking exercise for many small businesses. Something as simple as taking a client out for lunch should not have to be a roadblock for business owners. If you deduct office lunches properly, this tradition is still an effective way to build rapport with clients and employees while being tax savvy. Following theses simple tips outlined in this post should help to remove any headaches involved with office lunch tax deduction. Then, you have more time to worry about your business energy tax deductions.